We stay in Dubai. Four of us are planning to travel to north Sweden this February end to see the northern lights. We would be facing a temperature of -25 to -30 degree Celsius. We are worried on where to buy the winter clothes. We have bought jackets and ski pants from the Columbia store, but not sure that would be enough. A few of my friends warned us not to buy the winter clothes from Dubai as it wouldn't be enough to stand the extreme weather. They say it's best to buy it from Stockholm. We are confused now. Could you please comment? Is it fine to drive around in the snow if we have a GPS? Any other heads up? You should buy your clothes in Kiruna. There are plenty of excellent outdoor stores in the city centre. Although it is regularly -25°C to -30°C in the valleys outside the city (where tours such as sled dogging tours take place), it's not cold in the city centre, where temperatures rarely drop down below -20°C (you might be surprised that a dry, calm, and sunny -15°C doesn't feel extremely cold). Although your jackets and skipants are likely insufficient for long outdoor outings, they should be sufficient to walk from your hotel to the outdoor stores. Don't forget properly insulated boots. As a bonus, in case it's a warm week and only -5°C or so (it happens), you might find your existing clothes are sufficient. When I left Kiruna two years ago, in the city centre, there were Intersport, Vildmarkshornan, Höjdmeter, and one whose name I forgot, with additionally Team Sportia/Jaktia in the industrial area (some 3–4 km from the city centre). The latter have apparently disappeared but each of the former three should have thick down jackets. Intersport is a regular sport+outdoor store, Vildmarkshörnan (meaning ”wilderness corner”) has a focus on wilderness experiences including hunting and fishing, and Höjdmeter specialises in skiing. Each should be happy to make you a set of winter clothes richer (and quite a lot of Swedish crowns lighter). Enjoy Kiruna. It was my home for nearly 6 years. Don't forget to take a day trip (at least) to Abisko and Narvik by train, as the train ride is very scenic and the transition to the Atlantic coast is absolutely amazing. Abisko has much clearer skies than Kiruna. If you do stay in Kiruna, walk on the trail just north of Camp Ripan (I think they named it Aurora Balcony or something like that now), as you will be in the shade of the Sandstensberget hill so you can watch the aurora without being disturbed by city lights. There's a couple of benches at the best watching spot, but you might have to dig them out of the snow. Going 20 km out of town is even better as you get out of pollution from the mine, but that requires a car and the courage to drive it on icy roads. Jukkasjärvi (where the Ice Hotel is located) is good as well, although you see a somewhat smaller proportion of the sky as you're in the valley. Edit: On the driving: if you rent a car locally, it will most likely be a reliable, modern car with studded tyres. In the depth of winter, streets are covered in hard packed snow, but typically not icy like in autumn or spring. Although you do need to be careful in curves, I personally find the driving on packed snow not too bad. October or April can be much worse, as can driving in coastal Norway where freeze-melt-cycles are much more likely. You don't want to rent or borrow a crappy old car; I had an old borrowed car break down once on a rarely trafficked road 40 km from civilisation, it was -35°C outside, and we were not happy. Also, be careful of driving long distances in the dark, and drive on the assumption that reindeer (bad) or moose (very bad) might suddenly decide to walk in front of your car at any time. The 90 km/h speed limit exists for a reason, do not be tempted to drive 140 km/h on wide and empty roads. People do and sometimes it ends quite badly. This applies in any season, day and night. Important: avoid cotton being in contact with your skin! There's a cliche among outdoors types that "cotton kills" in cold weather. Even in arctic weather, you'll sweat small amounts when exerting yourself or when temporarily in a warm place, and cotton will turn this small amount of moisture into an icy layer that prevents its normal insulation from working. Insulating fabrics, however, "wick" moisture away from your skin, keeping your skin dryer and warmer. Wear proper thermal underclothes. If you do just one thing, do this. Long sleeved thermal top, tucked into tight thermal long johns (undertrousers) or thermal tights, tucked into thermal socks. They're cheap, comfortable, and make a massive difference. This is also the key secret why Swedes can continue dressing stylishly even at absurdly low temperatures. Good quality gloves are essential. Ski gloves are usually pretty ideal. If you pay extra for quality on anything, get good gloves. 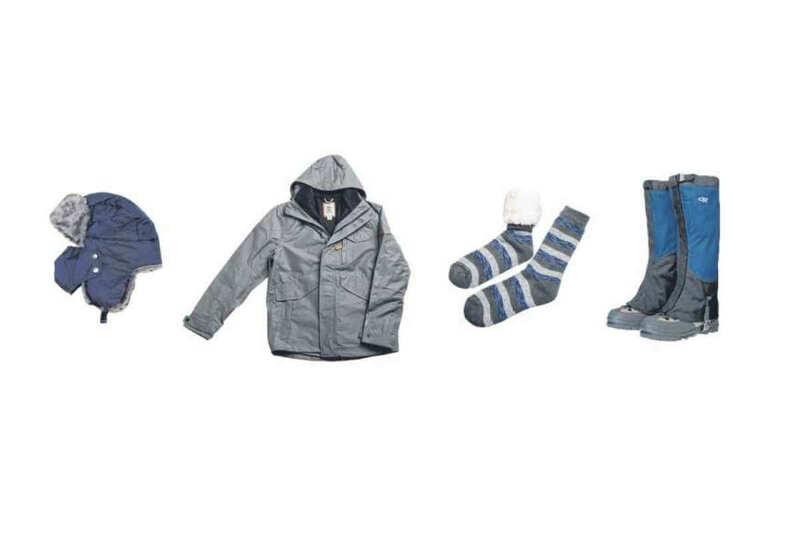 Find ones that are waterproof on the outside, insulating on the inside, and comfortable and well-fitted. You'll get more out of the trip if your fingers a) don't feel like they're about to drop off, and b) don't feel like useless, unusable stuffed sausages strapped to your hands - find the best balance. I'd strongly recommend good quality snow boots and a good, warm ski jacket. Try the snow boots on before buying - I bought mine online and while the size was fine, they were so inflexible I could barely walk, I was clunking around like a Scooby Doo villain in a suit of armour. It's possible to find proper snow boots that are comfortable and feel like normal boots. Also, try to keep the laces of your boots dry - it's very difficult to remove your boots when the laces have frozen solid! I'd strongly suggest bringing a woolly hat (make sure it's not cotton! ), even if your ski jacket already has a hood. Lots of heat leaves via your head. I'd recommend having a scarf. I only wore mine occasionally and kept it loosely draped or in a pocket much of the time, but I was grateful to be able to cover my face when the icy winds picked up. Waterproof trousers or ski trousers are worth considering. Activity centres will often lend them if you need them (e.g. for sledging), but it might be worth bringing your own if you're doing long hikes or similar. They're probably not necessary for normal walking around town etc (except in bad weather maybe). Regarding the change in temperatures, it will be a shock, but it'll be doable if you're prepared. It's less extreme, but I recently went from 35 C+ West Africa to UK winter, and it was enough to just have a set of warm clothes in hand luggage for getting off the plane and through the airport. Some people "prepare" by keeping their air conditioning at it's coldest setting for a few days before... I'm not convinced that helps, but maybe it reduces the shock. If you can, it'll be more comfortable if you can break the journey with a day or two in temperate, non-Arctic Stockholm, so it's less of a sudden shock. This also gives you time to buy anything you can't buy in Dubai (also, Stockholm's really nice). Regarding where to buy stuff, be aware that things are very expensive in Kiruna. Kiruna makes Stockholm look cheap (and Stockholm makes London look cheap). Kiruna's town centre does however have a good number of well-stocked clothes and outdoors stores, more than you'd expect for a city of its population (it's the economic centre of its region) - but they don't have great opening hours, particularly at weekends. I don't know much about shopping in Dubai, but it's such a transport hub and international shopping destination, I'd be amazed if you couldn't stock up at shops selling international brands like North Face etc, aimed at high-flyers on weekend shopping trips. It may be more expensive than shopping in a "normal" city, but probably compares well to Kiruna. Good boots, if you have hiking boots they might do for starters, in it thick socks. For your legs: long underpants, nice layer for indoors and over that waterproof pants. For your top half, T-shirt, long sleeved thick shirt, woollen jumper, fleece jacket and over that your out of doors jacket. It's a good idea to avoid cotton clothing, they're not particularly warm and they retain humidity, that conducts heat away from your body and feels heavier. When you leave home have your warmest clothes with you and layer those when you get to Sweden, not warm enough for extended periods but enough to get to your hotel and from there to the shops. If you are used to warm temperature, cold temperatures will feel even colder. Usually it takes month till the human body can handle unused climate properly. I cannot really say what to buy, but definitively where: in Kiruna. Also I would suggest that you add at least one day in Kiruna, just to get used to the clothes and the temperature. If you spend some hours walking in the city you will detect if the clothes are okay or not. Beeing on the road freezing is not only unpleasent but can get dangerous too. As explained in the other answers, you should wear multiple layers of clothing as this traps air, providing insulation, and also allows you take take off some layers if it is too warm and you start to sweat. You want to prevent sweating as this cools you down rapidly later when you are no longer warm (e.g. when you stop exerting yourself). From my own experience, you should pay particular attention to your shoes, trousers, and your hat, as it's often quite difficult to get hold of good quality stuff, even in the Arctic areas. You should consider buying some of your gear online before you leave. E.g. I could only buy these double wool long underpants in a shop in Svalbard, they didn't have them in any of the shops I visited in mainland Norway. Ski pants don't work all that well as they are not so wind proof in the upper parts. They are, after all, designed for people doing hard exercise. It's better to try to get hold of goose down filled pants. This is hard to get hold of in shops, but it's easy to buy online. As the third layer you should use the water and wind proof head cover from your jacket. 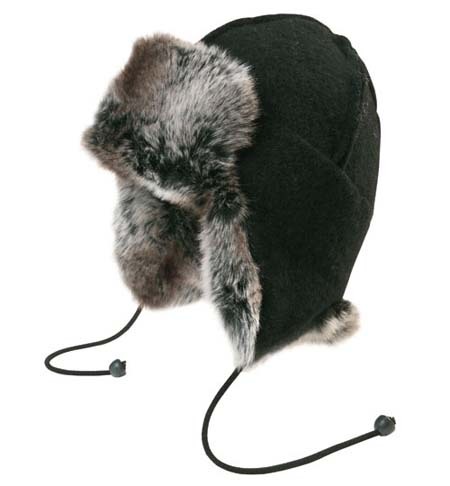 Like the other items I mentioned, a good arctic hat is also difficult to obtain in shops, I bought mine from Svalbard, so you could consider buying this online. The multiple layer principle should also be used for your feet. The first layer can be light socks, the second layer a thick woolen sock. Good quality snow boots will consist of a removable inner boot that fits into a larger outer boot. Keeping up your body temperature is a very big hurdle and i feel this because travelling in -25 to -30 degree Celsius is not so easy. As you are from the place Dubai where you know how the temperature treats you and in that cases if you are suddenly getting into the - degree Celsius i am not sure how your body will react which you should protect every time. Mainly the things that you carry with you should be able to keep you up and maintain your body temperature all the way to make sure that you and your body respond stable in situations. Sometimes the extreme freezing cool weather can make your "Your blood vessels constrict" which means the flow of blood inside the body tightens where your blood which keeps the warmth in your body decreases slowly. And many times it is also read that dressing too warmly can also make your body too cool which is another worse time if we do while travelling. Make sure that you do keep something with you that can fight with your white turning hands and the rashes that you face on your body due to the too cool weather over there. If you have some breathing issues then it is worse so make sure that you carry everything that you need in your trip to make sure that you won't face any issue in the middle. Coming to the clothes that you have mentioned i feel you can buy the clothes at your place also as you said that you are from Dubai there are many on the list which will definitely help you find the best of the choices which suit the weather conditions where you are travelling. I feel you should take boots, socks and the jackets that help you keep up your body heat to a level as mentioned too much of dressing may create the sweat again and make your body wet. You can even choose the collection in Dubai from online stores like souq in discounts available at Rezeem. Not the answer you're looking for? Browse other questions tagged dubai clothing sweden winter or ask your own question.